Throwback Thursday #2: Get Your Speak On! I hope everyone is having a great Thanksgiving with their families. When you come out of that food coma I hope you enjoy my second blog post in the Throwback Thursday series. Throwback Thursday is a bi-weekly blog series where I dig deep into my evernote collection and find some great content on a single subject and share it with you. This week were going to cover becoming a speaker and becoming a better speaker. I am still working on several tips included in these links. The 30 skills every IT person should have – Questioning if public speaking is helpful for you IT career? Infoworld lists three skills involved with giving presentations in the top five of its list of skills everyone should have. Presenting Opens Doors – Kendal Van Dyke shares a great story on how presenting helped change his life. This is stuff you wont see on an ROI report. You Don’t Have to Be an Expert To Speak – One of the first fears I had when I considered building presentations was that I wasn’t an expert. After doing some thinking I decided to write why I got up and present regardless of my experience. 51 Questions About Your #SQLPASS Summit Submission – Getting an abstract selected can be tough. Today, I still need all the help I can get drafting an abstract. I strongly recommend looking at this checklist. It has a bunch of items you didn’t think about before you hit submit. Brent Ozar did a great job with this. If you like it check out his presentation links. How To Successfully Deliver Presentations for Community Leaders and Professional Speakers – Dan Stolts shares some great objectives that you should focus on when you start giving technical presentations. I am still working on some of these objectives. Twenty Tips Better Conference Speaking – More awesome tips provided by Cameron Moll. I actually really enjoy the tip about managing expectations for your first presentation. We only get better through experience and you have to start somewhere. Why You Should Create A Speakers Resume – If you have completed the hard task of building and giving a presentation make sure you get some credit. Kendra Little gives some great advice. At first I didn’t do this. Once I started I found out it helped me get some great jobs and more speaking gigs. T-SQL Tuesday #41 – Presenting and Loving It – Bob Pusateri had a great concept for a T-SQL Tuesday topic. Go straight to the comments. They include links to your peers in the community who shared their why they love presenting. I really like this one, that one, oh and also this one too. SQL PASS Speaker Resources – That’s right folks, our favorite community actually has some great resources including tips on starting, tools to record and more.. The post Throwback Thursday #2: Get Your Speak On! 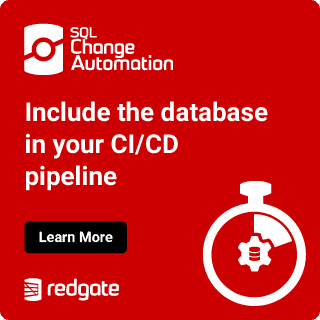 appeared first on JohnSterrett.com SQL Server Consulting.